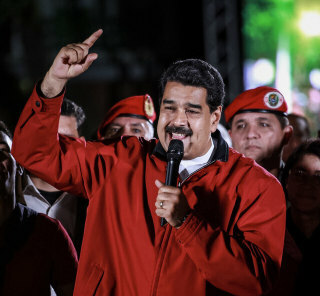 The United States imposed sanctions Monday on Venezuelan President Nicolás Maduro in response to weekend elections that the Trump administration characterized as a sham meant to turn Maduro into a dictator. Treasury Secretary Steven Mnuchin and H.R. McMaster, President Donald Trump's national security adviser, announced that any of Maduro's assets subject to U.S. jurisdiction had been frozen and that Americans were prohibited from dealing with him. "Maduro is not just a bad leader. He is now a dictator," McMaster said at the White House, calling Sunday's elections to replace Venezuela's National Assembly with a new National Constituent Assembly an "outrageous seizure of absolute power." The U.S. decision puts Maduro in "exclusive club" of dictators under U.S. sanctions, with Syrian President Bashar al-Assad, North Korean leader Kim Jong Un and Zimbabwean President Robert Mugabe, McMaster said. Mnuchin, meanwhile, warned that "anyone who participates in this illegitimate [National Constituent Assembly] could be exposed to future U.S. sanctions for their role in undermining democratic processes and institutions in Venezuela." The direct impact on Maduro isn't clear, because authorities didn't reveal what assets he might have under U.S. jurisdiction. But Sen. Bill Nelson of Florida, the ranking Democrat on the Senate Finance Committee, noted, "I expect other countries will follow." Nelson, saying the move should be only a first step "to stop Maduro from instituting a Cuban-style regime," called on the Trump administration to consider cutting off imports of Venezuelan oil. It took the United States less than 24 hours to respond to Sunday's elections, which were widely boycotted and condemned by countries around the world. 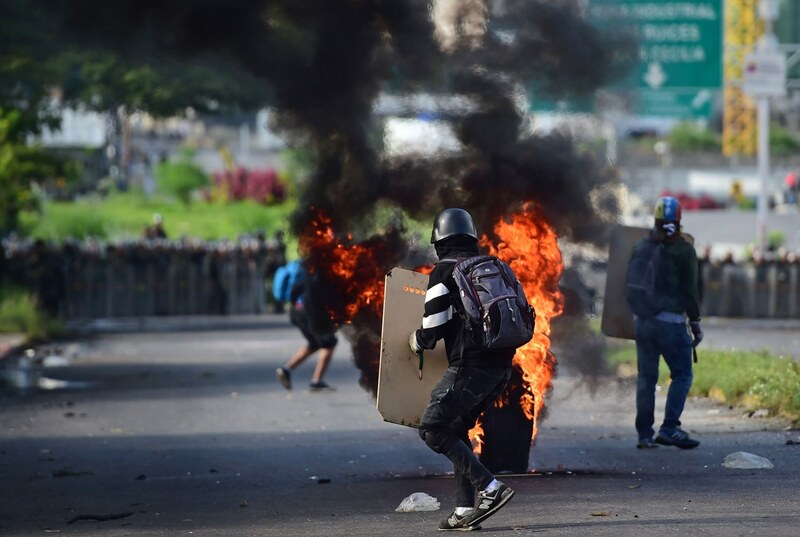 "We will continue to take strong and swift actions against the architects of authoritarianism in Venezuela, including those who participate in the National Constituent Assembly," State Department spokeswoman Heather Nauert said in a statement. "We encourage governments in the hemisphere and around the world to take strong action to hold accountable those who undermine democracy, deny human rights, bear responsibility for violence and repression, or engage in corrupt practices," Nauert said. Mnuchin said Maduro, who succeeded his boss Hugo Chávez when he died in 2013, was "directly responsible for Venezuela's descent and for the destruction of democracy." He said the sanctions emphasize the risk that "enablers of this regime could face." There was no immediate statement from Maduro. But last week, after the U.S. Treasury imposed sanctions on 13 current and former Venezuelan officials in an attempt to stop the elections, he called U.S. leaders "imperialists" and accused Washington of seeking to become "the government of the world."